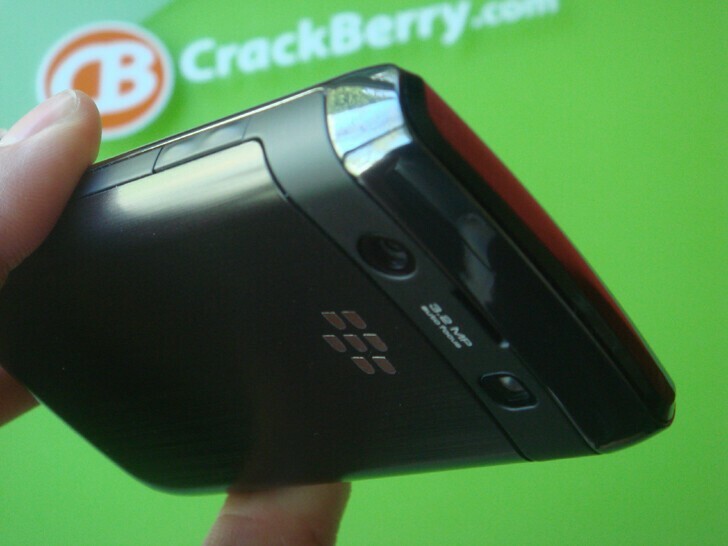 The changes made since this initial review to the Bold 9700 really make this is the ultimate "traditional" BlackBerry. 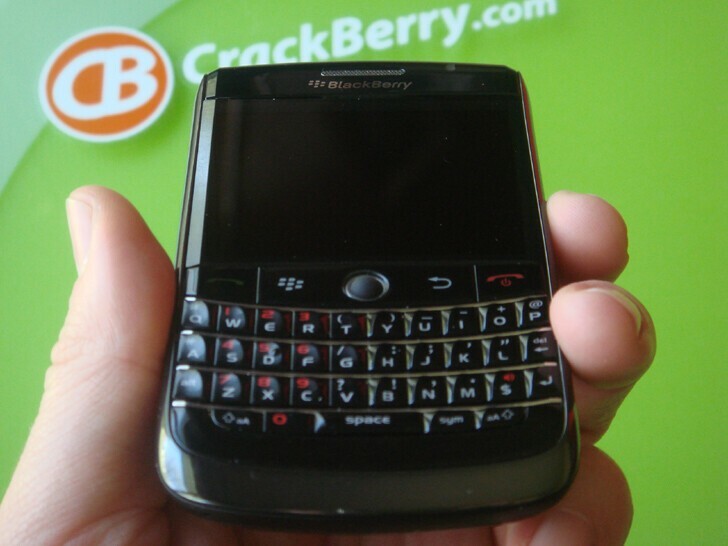 It beats the original BlackBerry Bold 9000 in every respect, and does it in a smaller package. Pre-release review time! 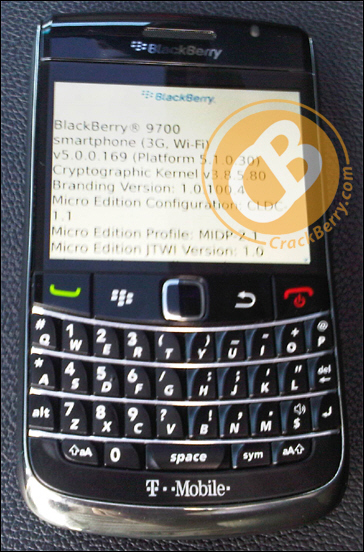 Rumors of the BlackBerry device model with the codename "Onyx" have been floating around for a while now and were proven legit when the first photos of it surfaced here at CrackBerry back on May 10th. After going hands-on with the Onyx, I think it's safe to say THIS IS the traditional (no touchscreen) BlackBerry smartphone so many of us have been waiting for. It always seems that every new BlackBerry smartphone makes a compromise somewhere on its specifications and feature sheet - be it the Bold's camera, or the Curve 8900's lack of 3G, or the Tour 9630's lack of WiFi, or the Storm's lack of memory and snappy OS. RIM has finally packed it ALL into one device with the Onyx -- 3G, WiFi, GPS, 3.2 megapixel camera - and they've done it in a tight form factor. 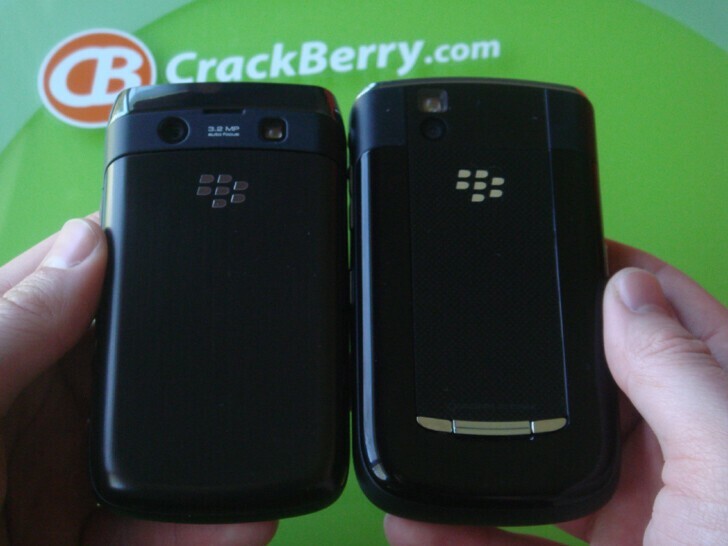 If you put the Onyx side by side with the BlackBerry Bold and compare the specs, you realize the triumph in engineering RIM has accomplished here. The Onyx is basically better in every way but has a much smaller footprint (though arguably the Bold's extra width makes for a better keyboard and physically wider display that some users may prefer). So if you're relaxing this Memorial Day weekend, grab a bevvie, sit back and read on to see tons of photos, a video and some first impressions of the BlackBerry Onyx. 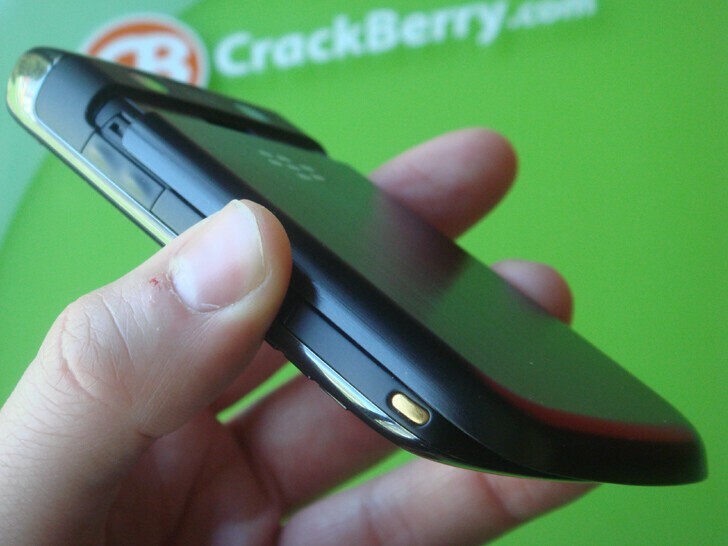 While the pre-release BlackBerry Curve 8520 we recently reviewed felt like it could be going on sale tomorrow, it's apparent the BlackBerry Onyx reviewed here is in a much earlier stage of the commercialization process. While the hardware quality is quite good, the OS implementation is still young. In fact, on this device the OS has yet to be labeled with a version number. It's definitely a version of OS 5, but actually think it's an early build of OS 5.0.1 versus 5.0.0. Likewise, we're hearing that production on these isn't scheduled to begin until later this summer, which means the device is still pre-production and things could change up, like maybe swapping out the trackball in favor of the optical trackpad, which is said by BGR to be coming to the BlackBerry Driftwood (think T-Mobile version of the Onyx). On the device model front, it's not certain (to us anyways) what the exact model number is yet, but the prevailing thought is that the both the Onyx and Driftwood may be part of the 96xx series. 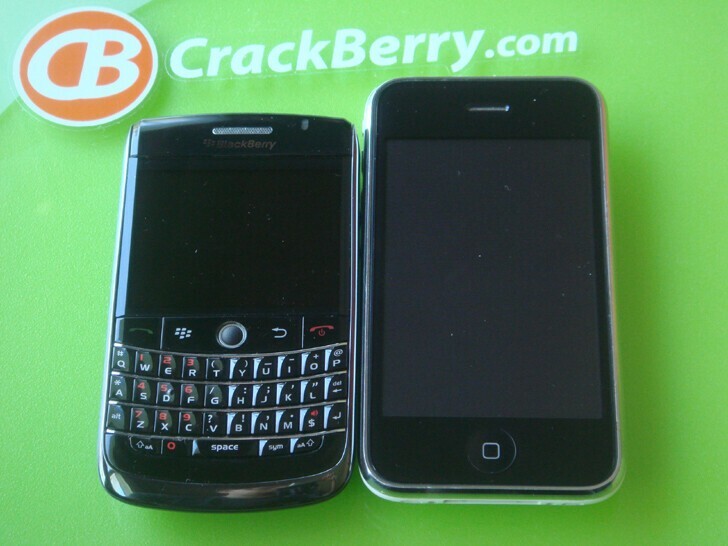 We've heard the Onyx is the 9600 (BlackBerry Tour 9600?? 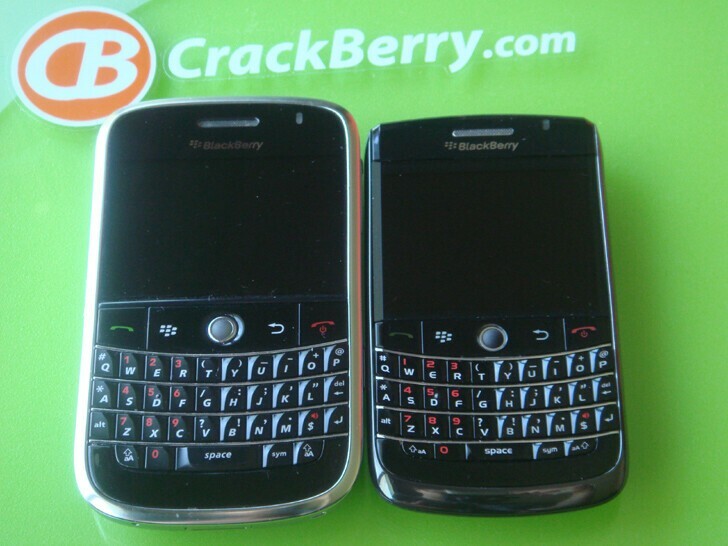 ), but visually comparing the Onyx to the 9630 the sides/back are so visibly different that one could argue a different model number could be justified. Of course RIM hasn't even officially announced the Tour 9630 yet, so we're talking pre-release rumors on top of pre-release rumors at this point. Another item to note is UMA support. The Onyx's hardware is technically capable of supporting UMA, but whether we see it launch with it is another question. In North America the Onyx will be heading to AT&T and Rogers. We know (based on history and BG's info) that the AT&T version won't support UMA, but Rogers does offer their UMA TalkSpot service so we could maybe (hopefully!) see it launch with UMA there. In the video below I typed in that UMA was supported...but keep this paragraph in mind. Technically supported vs. what hits the market are two different things. BlackBerry Codename Onyx - What's in a Name? 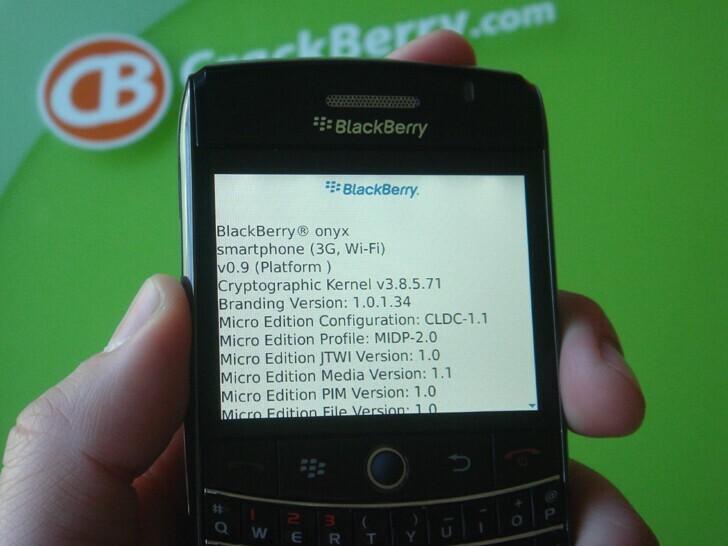 There's a little CrackBerry history behind the name BlackBerry "Onyx" that I just had to throw in here for our newer readers who may not be fully aware. 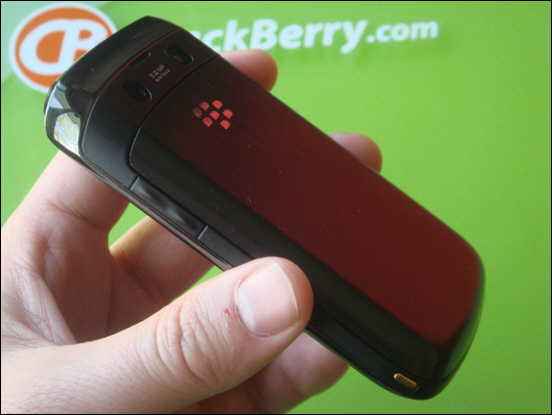 Back in April 2008, before the official release of the BlackBerry Bold, the blogosphere referred to the device by its model number, 9000. 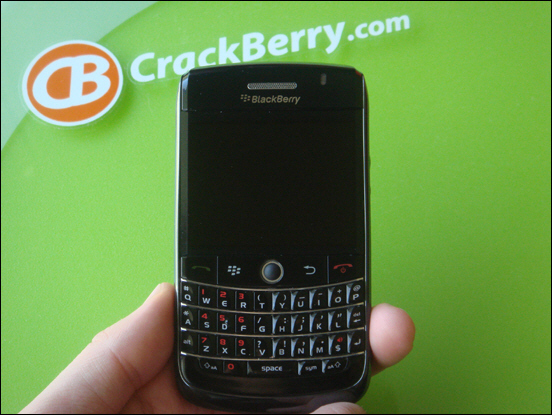 We knew the BlackBerry 9000 would have to get a brand name, so at that time we held a CrackBerry contest to guess the name of BlackBerry 9000. 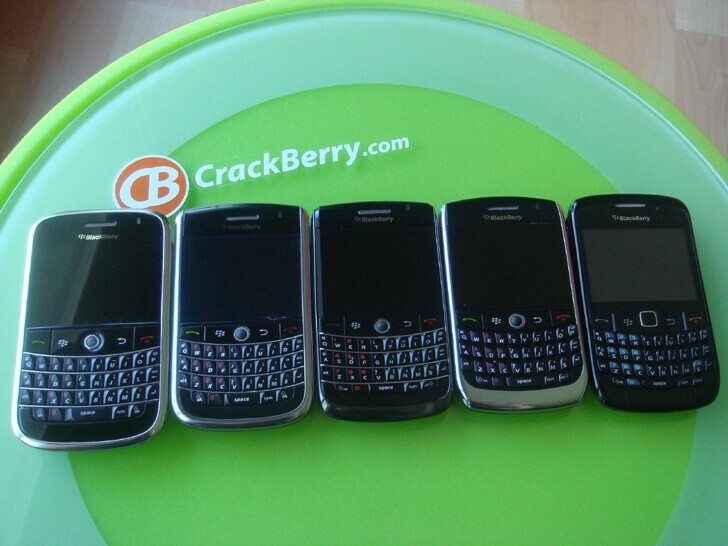 A short time after, RIM announced the 9000 as the BlackBerry Bold, a name which none of our contestants had guessed. However, we went through the hundreds of names suggested and picked our favorite and gave them a prize anways. 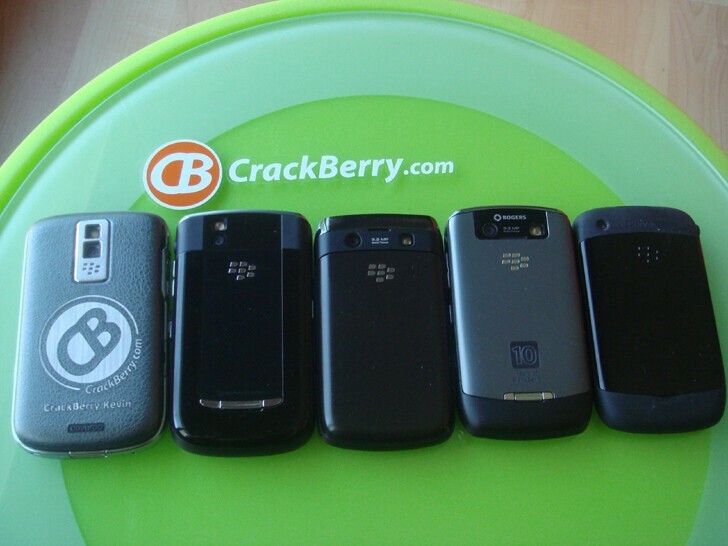 And the name we picked as the winner was..... the BlackBerry Onyx! Now I don't if it the Onyx was already in development at that time and we just got lucky, or if RIM was inspired by our name game and used it for a device (that would be pretty sweet), but either way it seems fitting that the BlackBerry Onyx is the device that can basically be seen as the next generation / upgrade of the BlackBerry Bold (as far as it's the next/best all in one BlackBerry). In our Curve 8520 video I played Sunday Morning Coming Down. It got some positive feedback, so we're back with more Johnny Cash, this time the very fitting Man in Black for what is shaping up to be one hell of a BlackBerry. Be sure to click the HD button to see the video in high definition. Enjoy the show!! 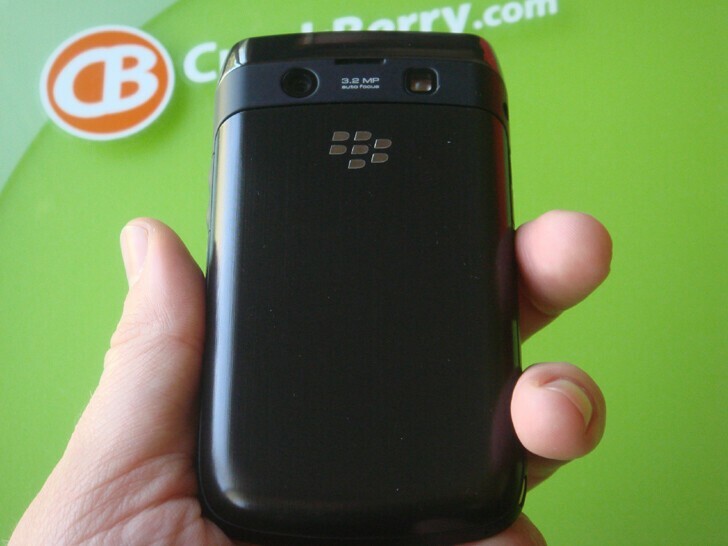 Similar to the BlackBerry Tour 9630, when you first look at the BlackBerry Onyx you're just not quite sure what you're looking at. 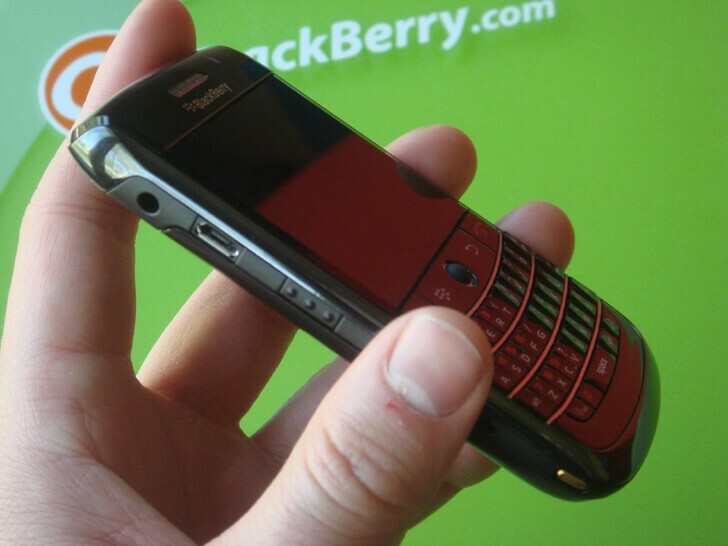 The close-together keys with ‘guitar fret' separators scream Bold, yet the overall form factor is much more like the BlackBerry Curve 8900. That's part of the reason it seems weird that the Onyx would be a 9600 device. In terms of the device's overall dimensions and shape and feel in the hand, it's actually closer to the Curve 8900 than it is to the 9630. Like the Curve 8520, it features a little bit more rubber than were used to seeing, but the rubbery buttons give off a quality feel. And then when you pop off the Onyx's battery cover and see the Bold's battery, the confusion increases even more. With the BlackBerry Onyx it's like RIM simply grabbed the best DNA from each device and tossed it together to make a super baby, which in this case is not a bad thing. Form Factor - The overall look and feel of the Onyx is slick. I assume the gun metal grey metallic band around the device is actually plastic, but it gives off a more metal-like feel than the silver chrome on the Curve 8900 or 9630 or Bold. The Onyx feels very thin too. 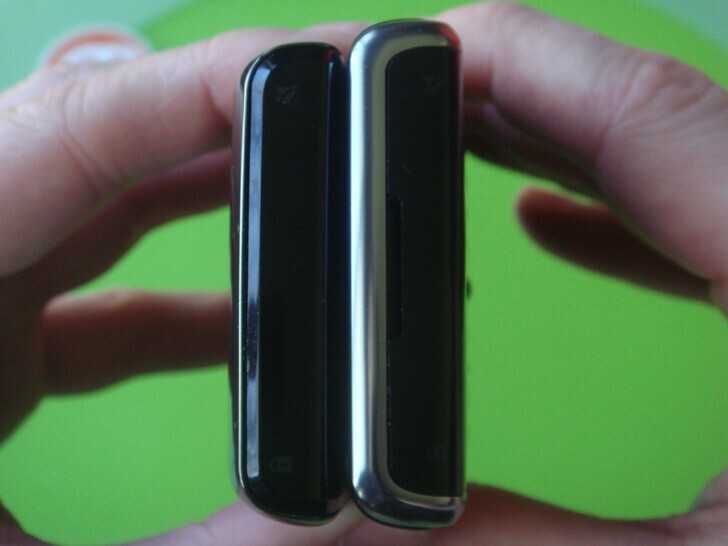 While it's overall thickness appears to be the same as the 8900, on the Onyx RIM has made the sides of the device a little less thick and instead of having the display be flush (even slightly lower) than the side rails, with the Onyx the display's edges are beveled down towards the side rails. It's hard to explain, but overall the device simply feels thin. 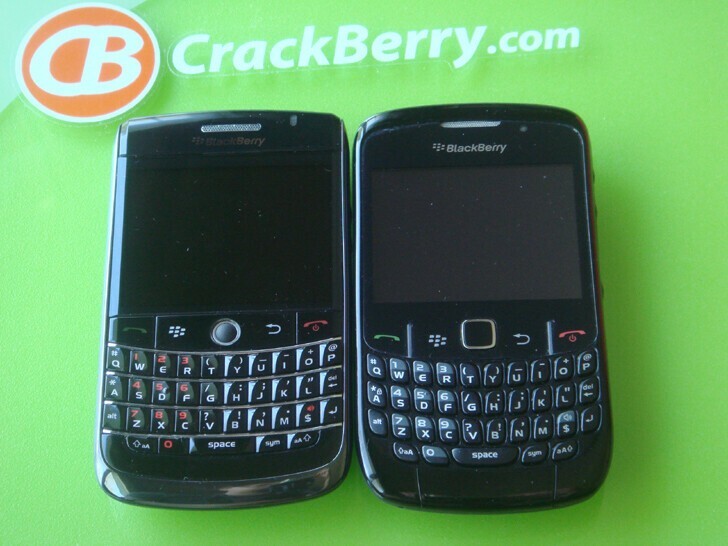 The Onyx's footprint is much smaller than the Bold's and is even smaller than the 9630. 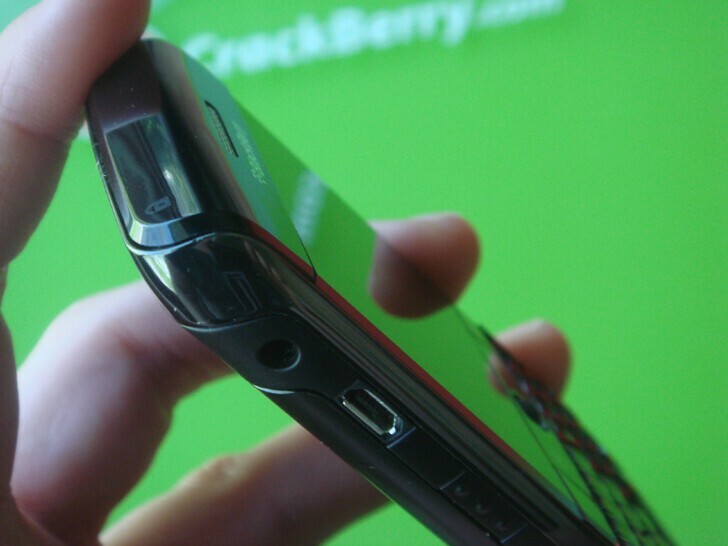 The beveled edge look continues through the top of the device, which does feature the hidden lock and mute keys that so many BlackBerry users have quickly grown to love. Walking further around the perimeter of the device, the usual BlackBerry stuff is there. 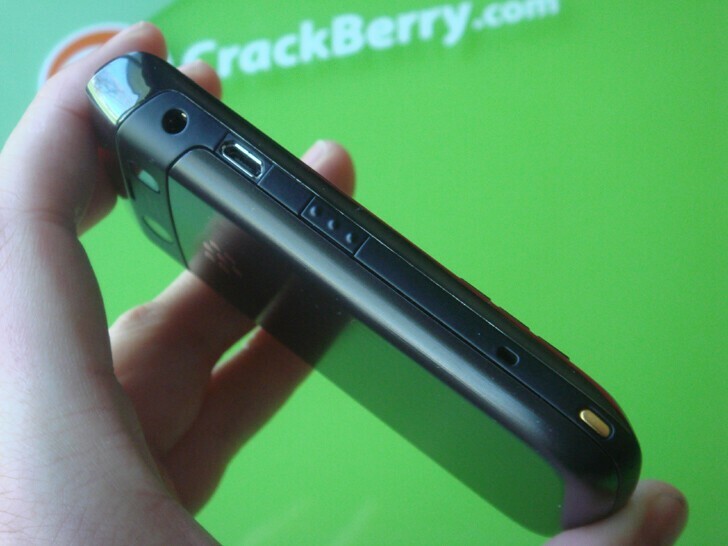 The Micro USB charging/syncing port is located on the top left side of the device, just below the 3.5mm headset jack. 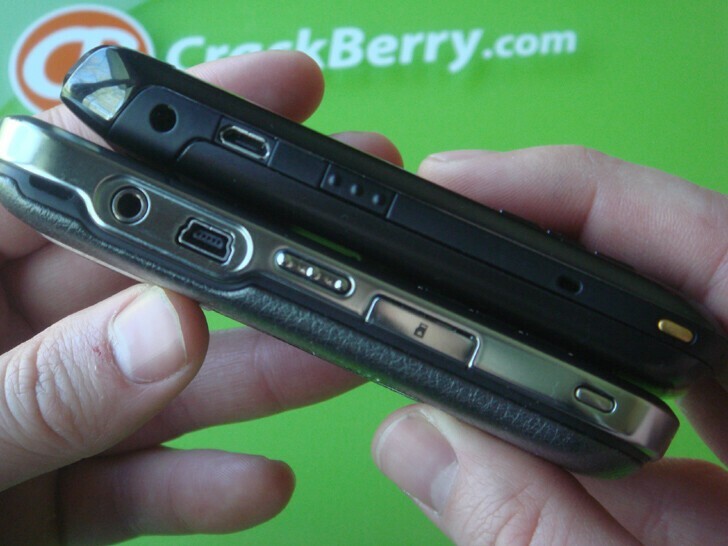 There's a lanyard hole on the left bottom side of the device, just above the charging contacts - there will obviously be a BlackBerry charging pod for the Onyx. Volume up/down keys are on the right hand side, and as always, convenience keys are on both sides of the device. All in all, the look is a bit dangerous, a bit understated, yet dashing at the same time. 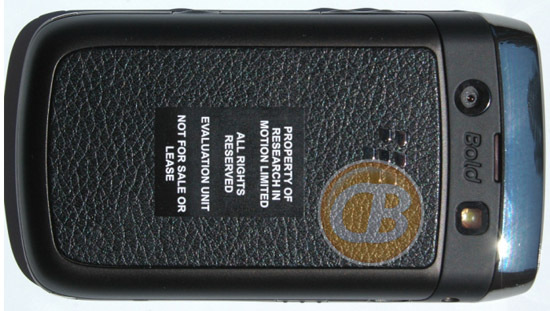 James Bond should scrap that Sony Ericsson crap in the next movie in favor of a BlackBerry Onyx (damn, I know "Onyx" is just a codename but it's a good sounding name... I wish it would hit as the actual brand name). 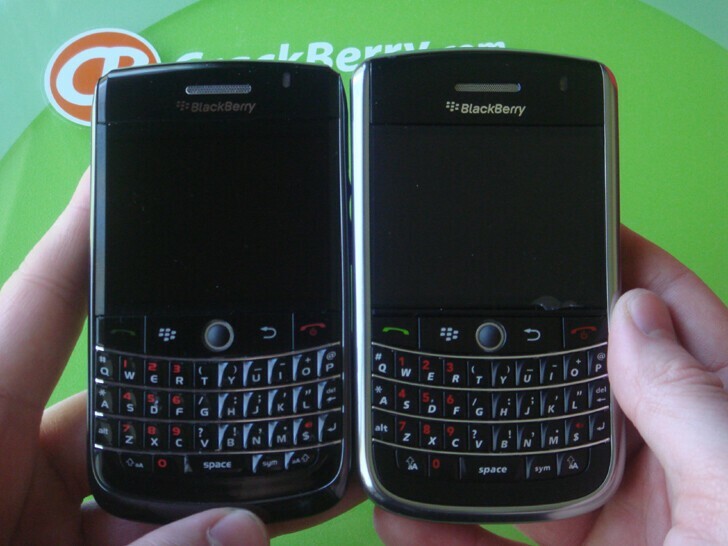 Keyboard – The top three rows of the Onyx’s keyboard appear to be identical to the that of the BlackBerry 9630’s, but the bottom row differs in that the keys are a millimeter or two shorter. I don’t think the downsize hurts there use – overall this is a very nice keyboard that should be comfy for everyone. Small hands, big hands or somewhere in the middle, both this keyboard and the 9630’s keyboard are just awesome. Trackball – The Onyx reviewed has a trackball, but it is possible that by the time it goes into production that it may feature the optical trackpad found on the Curve 8520. I’m realllly in love with the trackpad, so hope it does. But even with the trackball, the navigation is all good. 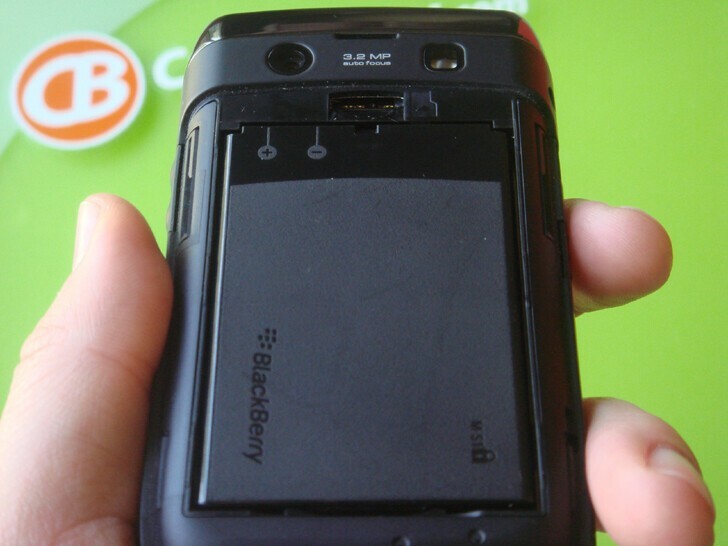 Battery Cover – Another BlackBerry smartphone, another battery cover design. Seriously, it’s almost shocking how much the battery doors change from model to model. I don’t know if this means they just haven’t got it quite right yet, or if it means they design it last (once they pack all the guts under the hood) and figure out how to make it work. The Onyx features a latch-less design (no buttons to depress). There’s little hooks on the inside of the door at the top that slide into grooves on the phone. You simply apply a little pressure on the battery cover at the top (just under the camera) and slide down and the door comes off easily. It seems to work pretty well. Micro SD Card - The location of the Micro SD card slot is pretty cool. Pull off the battery cover (a good thing - having it external is one more hole to collect dust) and it's located above the battery/below the camera and is mounted at an angle. It's a great design. 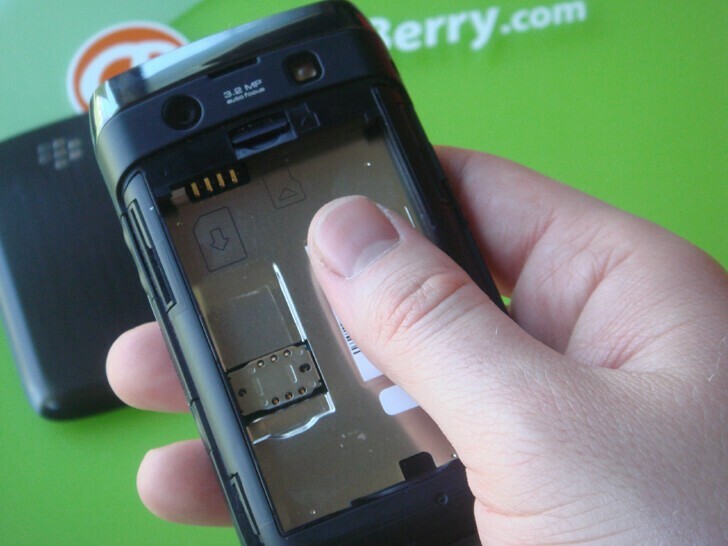 Battery - The Onyx uses the same battery as the BlackBerry Bold, which it needs to power the processor and radios and provide enough juice to power the unit through the day. On this early OS software the battery is getting drained pretty quick, but am sure by the time the Onyx hits the market battery life will be on par with other models. Under the battery there is room for a SIM card and that's it. It's a very clean design under the battery door. 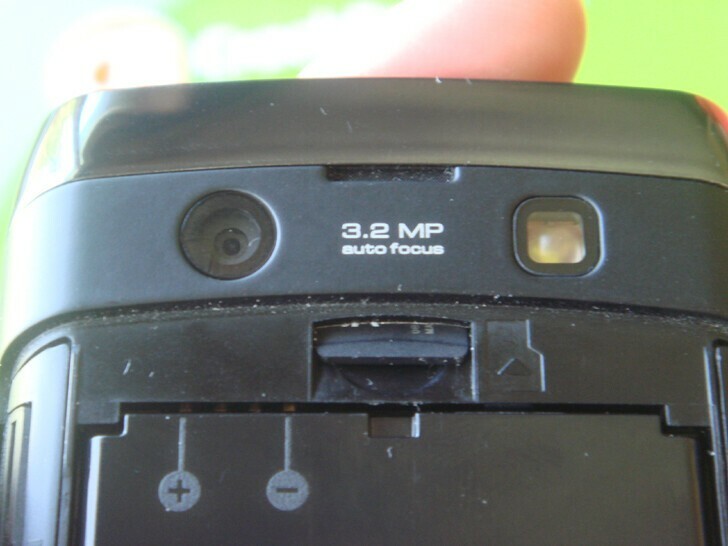 Camera - You can expect the same quality of photos out of the Onyx as the Curve 8900 (which takes some great snapshots) thanks to its 3.2 megapixel camera with flash and autofocus. Other Stuff - With the device software being so early stage, it's too soon to start looking at performance type stuff (3G/WiFi speeds) or OS stuff (web browser), but at the end of the day it's clear from the specs and hardware that for those who don't want a touchscreen the Onyx will be the next must-have BlackBerry. Be sure to click all the images above to zoom in for larger photos. I've let some captions with details as applicable. 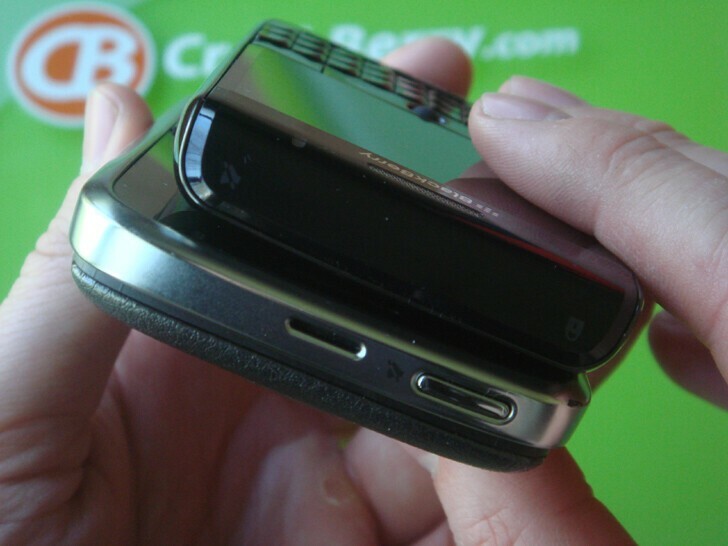 So there you have it, a first hands-on review/look at the BlackBerry Onyx, aka the BlackBerry Bold 9700. It's been whispered about for a while now as being a sweet device, and sweet it is. It's definitely the pinnacle of the traditional BlackBerry. But what's really interesting is that this isn't it for RIM... codenames like Magnum have also been floating around for a long-time now which are rumored to be mixing things up and combining a physical keyboard with a touchscreen. 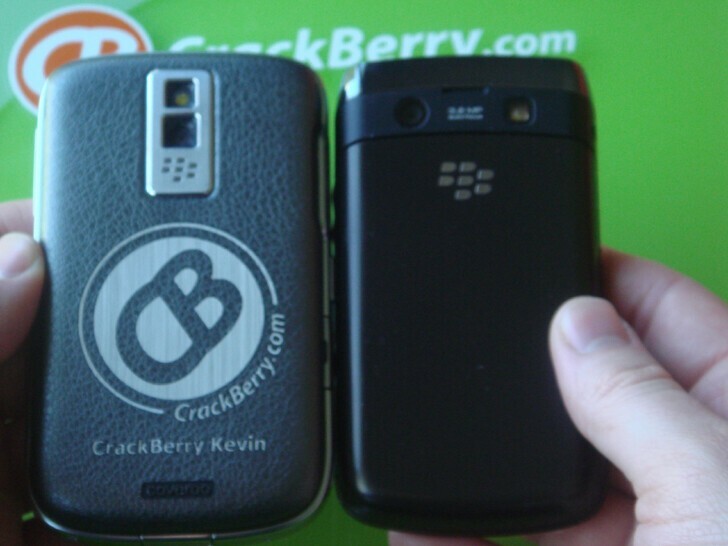 It'll be exciting to see how the BlackBerry experience on a device like that will match up with a device like the Onyx. RIM should really just start a BlackBerry credit card already. It would make it easier for all us Crackies to get our hands on the plethora of devices coming out of Waterloo! 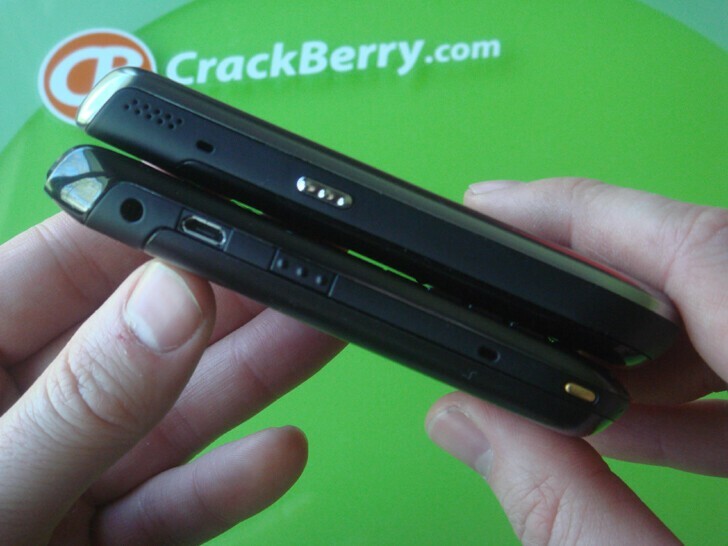 I'll be sure to follow up with some more thoughts on the BlackBerry Bold 9700 in the weeks ahead. 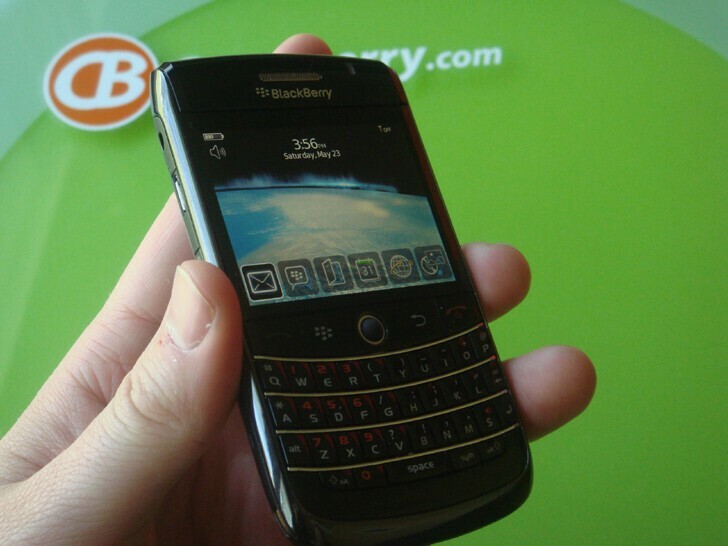 Until then, be sure to drop your comments, questions and thoughts below or in our new BlackBerry Bold 9700 forum.